With gas prices continuing to climb, more and more people find their lives disrupted, as a higher portion of their income is consumed at the pump. Many dream of owning a car capable of traveling hundreds of miles without stopping for gas, but fear they could never afford it. However, modern automobiles are capable of remarkably high mileage, if properly operated and maintained. While many of the factors impacting gas mileage are out of the owner’s control, there are various methods at the owner’s disposal that can significantly reduce fuel consumption. 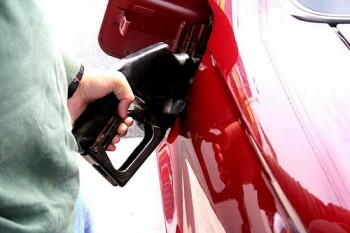 The following tips will help to save a little time and money at the pump. First, it’s important to keep your engine well maintained. Check the air filter regularly. If it is clotted and dirty, replace it right away. A dirty air filter blocks the engine’s air intake and causes the car to waste more gas as it accelerates. Change the oil every three thousand miles or every three months, whichever comes first. Check and clean the spark plugs and other internal components as needed. In addition, check the pressure in your tires and keep them inflated to the manufacturer recommended pressure (it should be printed on the side wall of each tire). Improperly inflated tires cause more friction with the road, which reduces the efficiency of the engine. Finally, be sure you are using the correct fuel. The recommended fuel for most vehicles has a minimum octane rating of 86. More powerful engines may require a higher octane rating to perform at optimum efficiency. Consult your owner’s manual for recommendations on what gas to burn in your car. You should also listen for a noise like trembling, uncooked popcorn, as this may be a sign that you should switch to a higher-octane gasoline. In addition to proper maintenance, your gas mileage will benefit from proper operation and handling. While you’re driving, do your best to maintain an even speed. Acceleration consumes more gasoline than maintaining speed, so repeatedly stopping and starting the car has an adverse effect on gas mileage. If you have the option, choose highways over city streets, and use the cruise control if you have it. In addition, a cold engine consumes more fuel than a warm one, so it’s a good idea to try not to stop for long periods of time if you have many errands to run. Finally, keep your use of the air conditioning system to a minimum. While the air conditioner is on, the engine has to work harder to keep the compressor turning, increasing your fuel usage. If you can stand to be a little bit warmer, you can save a little money. If you follow these guidelines, you should see noticeable improvement in your gas mileage, and spend a little less money at the pump each week. You may be surprised at how much of a difference these simple things can make. Hopefully, you’ve found this article both enjoyable and informative. Feel free to check out our website for more information. If you are really feeling the pinch from rising gasoline prices, why not consider converting your gas guzzler into a pure electric car? What you’ll need is a good EV conversion guide, hand tools and a small investment capital for parts and components. 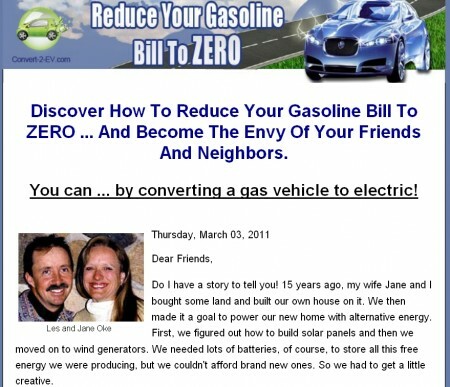 For more information on electric vehicle conversion, click on the link below to visit the Convert2EV web site.